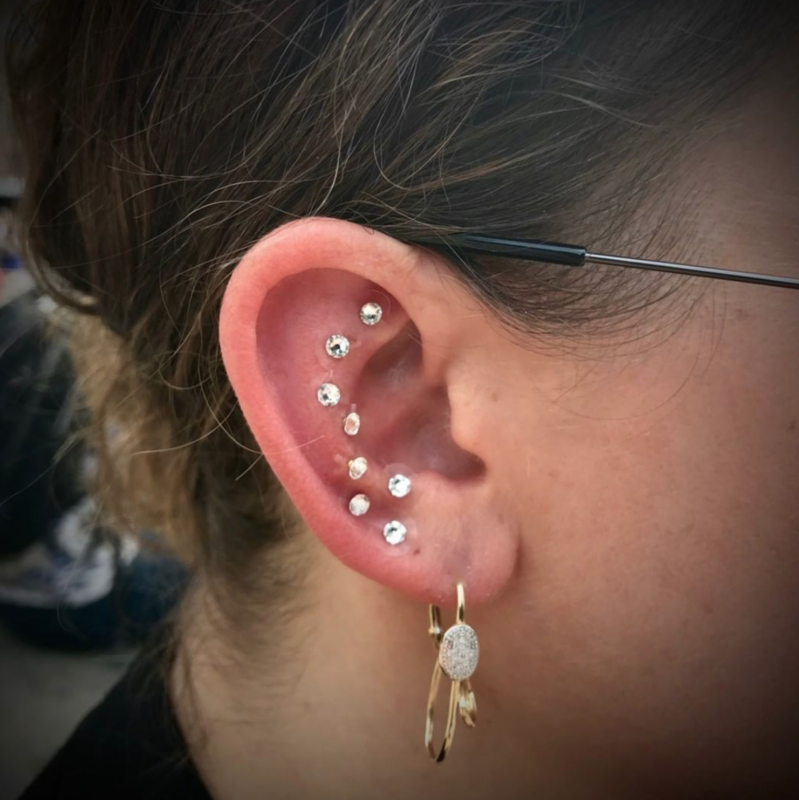 Does Ear Piercing Affect the Benefits of Auriculotherapy? How close do you have to be to the point? Have you ever thought that after putting ear seeds on? But before quickly removing them, let me share with you what happened to me during my last low back pain incident. My back had been killing me! It’d been about 2 weeks of terrible pain, worse in the morning and pain during the day especially when I bent my back. Very tight and stiff as well. I have had chronic low back pain for several years. Maybe it’s due to the stress running a small family business, or maybe due to my young kids giving us a hard time every morning before school, maybe from sitting all day, or maybe just regular lifestyle stresses…. maybe I need to upgrade my mattress. Either way, it hurts! So after 2 weeks of really bad pain I finally turned to EarSeeds! Two Weeks!?!? Well, I am human too and I do get lazy but one Monday night I finally put them on. Not only did I put them on, I pressed on them, I massaged them, and I really worked them in there hard since I wanted strong stimulation to achieve an effect as soon as I could. What I noticed right before bed was that just about all the pain in my back was gone… which was awesome, but I still had severe tightness and stiffness. It was pretty uncomfortable on my ears during the night and the pain from the seeds on my ears woke me up a few times in the night. I still kept them on but told myself that the next night I would remove them for bedtime and replace them in the morning. It was just hurting my ears too much! The morning is always the worst for me! The pain came back a little but clearly at least 50% better than the day before! During the day I continued to massage the seeds on my ears. My ears were still VERY sensitive. They hurt a lot! Especially my right ear. The left ear wasn’t as sensitive, but my right ear was hurting so much! What’s interesting was that I eliminated almost all my back pain and any left over pain was pinpointed at my right side! That’s exactly what my ears were telling me with my right ear being very painful and my left ear not so bad. During the day my back was feeling a lot better and mostly just stiff and tight. I continued to press and massage the ear seeds on my ears and wince from pain while doing it. The next night came and I wanted a better night sleep so I removed the seeds at bedtime. I woke up with my back feeling even better than the day before and since it’s usually worse in the morning I was feeling great about that! I didn’t want to lose my momentum so I put on a fresh batch of EarSeeds. Throughout the day my ears were still sensitive but quite a bit less! The following day I felt pretty good with hardly any pain at all. Putting on my shoes was easy again! If you too experience pain on your ears from the seeds, listen to your body and work with it. If it’s too much pain, redo them with less pressure or take a day break. But don’t be so quick to remove them and not give them a chance to work. The more severe pain your body is in, your ears will recognize that and be more sensitive themselves! And remember, as the pain in your body dissipates, so will the pain in your ears! Crazy, but true! Those Ear Seeds are Hurting my Ears! 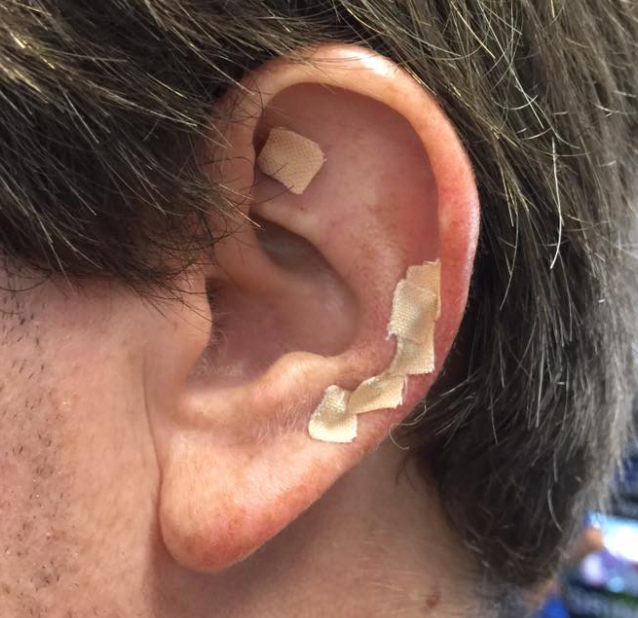 A few months back I received a phone call from a practitioner that uses our EarSeeds and he told me about something unexpected and pretty damn awesome that he experienced when using our products. I’ve found that in the months since that conversation I’ve repeated his story over and over again. And I’m always met with an acknowledgement of understanding, because SO MANY PEOPLE who use our products can relate. So, what was this practitioners story? Well, apparently one of the things he does as an acupuncturist to give back in his community is volunteer at a local addiction center. Acupuncture and Ear Seeds have been shown to offer tremendous help when dealing with cravings and addictions of all sorts, and volunteering his time in this way is something he’s been doing for years. He shared with me that he has long been putting vaccaria ear seeds on people at the center and they love it because functionally the ear seeds help them. But a few weeks prior he’d shown up in his usual time slot and instead of just vaccaria, he’d brought along some of our 24k & Swarovski Crystal Ear Seeds. And what he experienced blew him away. On this particular day, he found that the women at the clinic, the ones he’d been treating with vaccaria, were over the moon when they saw the sparkle! He was thrilled to see that patients that had avoided ear seeds treatments previously started lining up to get a little bit of the bling! These are women that haven’t had it easy. As a practitioner he felt amazing that he was able to not only offer them a powerful modality, but deliver it with a tool that had a powerful secondary effect as well. Now, for us, it’s one thing when Gwyneth Paltrow and all the inspiring and influential IG wellness bloggers crush on our crystal EarSeeds. It’s amazing and we’re filled with gratitude for those moments. But when a regular woman, struggling through a challenging experience in a very real-life scenario can find a moment of light and beauty because of a little sparkly EarSeed…. that really goes to my core. THAT is the reason I do this. So to hear how it’s doing just that –connecting people to their inner light- in the hands of real people and practitioners across the country- even the world… it’s sorta a big deal. Check out our Swarovski Crystal products and add a little light into your life. 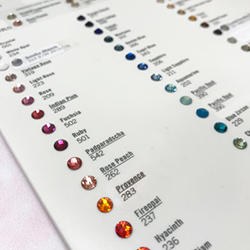 You’ve seen how our Swarovski Crystal EarSeeds engage and excite your clients and patients, and we know that giving your client or patient an amazing experience is super important to you. That’s why we are always looking for ways to help you elevate their experience. Small details and special touches really send the message that you are committed to creating a memorable and healing experience for them. That’s what we were thinking about when we decided to add this new offering to our practitioners! We are super excited to announce personalized packaging for your 24K Gold and Swarovski Crystal EarSeeds! 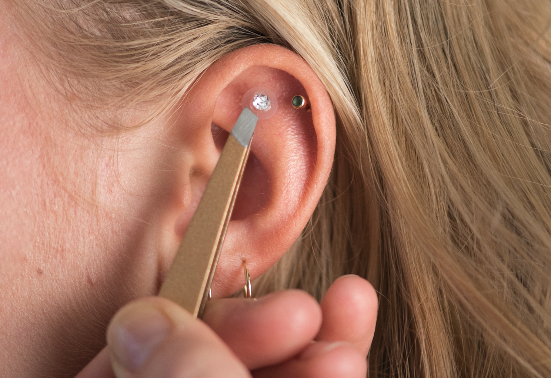 How fun and special will it be the next time you pull out your Swarovski Crystal EarSeeds and they are beautifully branded to match your spa or clinic? Now you can order TWO practitioner favorites with Custom Private Label Art! Our 40 Packs and Custom Minis (4 per pack) can be made exactly the way you like them, and you can even add on Custom Colored Swarovski Crystals for a unique look that matches your brand! Each season Swarovski introduces new colors so you can find just the right colored crystal for you. What a great branding piece to use on your clients! With low minimums, we made this option accessible to everyone. Click Here to learn more about our custom private label options. Let us help you kick off 2019 with new Private Label Products to WOW your patients and clients! Did you know that The World Health Organization says that auriculotherapy can treat over 150 health conditions? 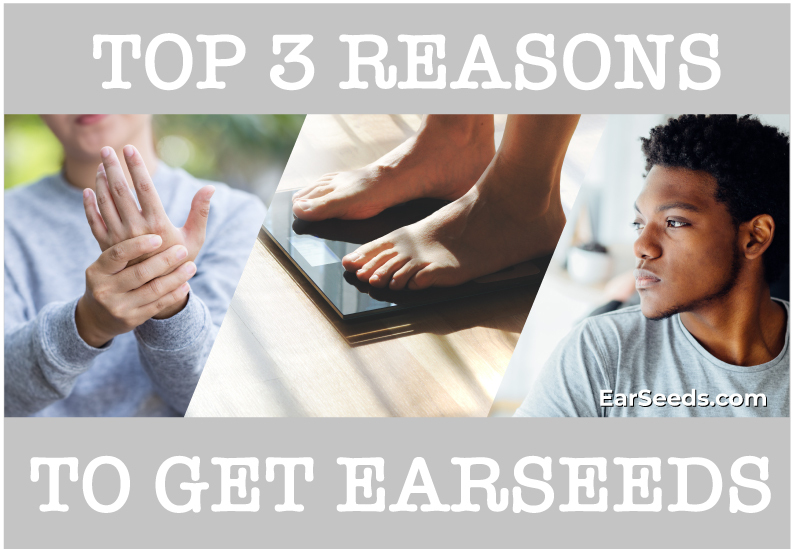 While hopefully, no individual has THAT many issues that need to be addressed, there are a number of very common conditions for which people frequently seek ear seed treatments. Pain of all types. It could be shoulder pain, knee pain, even sciatica pain! The reason why ear seeds are very popular when it comes to treating pain is that it works fast! The reason why it works so fast is because of the direct connection of the ear to the nervous system. Stimulating the ear with ear seeds immediately sends out signals from the nerve branches to the brain which regulates sensory information and alleviates the pain. Sometimes 20-year-old pain can be alleviated in minutes! Weight loss is another common reason people seek out ear seeds. Ear seeds stimulate ear points to help regulate your appetite and reduce cravings. More and more studies are concluding that ear seeds are a great addition to your weight loss efforts. Ear seeds don’t only help to reduce one’s appetite and hunger but there are also points on the ear to help with certain health conditions that could be contributing to your weight gain such as thyroid disorders, digestive issues and also hormonal imbalances. Anxiety and stress is the third reason to get ear seeds and often gets super-fast results. Our EarSeeds Certified Practitioners are helping SO MANY people with this! 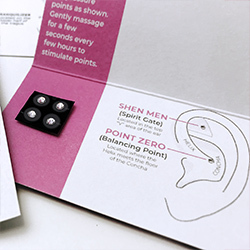 Ear seeds can balance the sympathetic nervous system, regulate stress hormones such as cortisol, and strongly calm and relax the mind body and spirit with points such as Shen Men (Spirit Gate), Sympathetic and Adrenal Glands points and a point on the ear we discussed in last weeks article called the Tranquilizer Point. 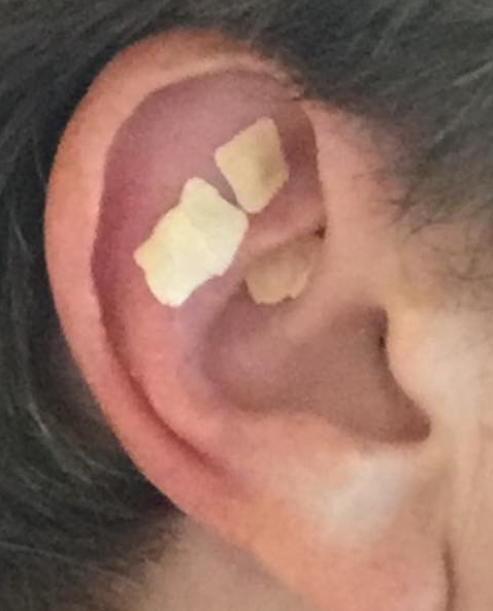 You can use our condition-specific ear chart kits for these conditions or visit a Certified EarSeeds Practitioner (directory coming soon) who can get below the surface and work on a more customized care plan for you. Or, YOU can also become a Certified EarSeeds Practitioner yourself! Do you ever get anxious or have anxiety attacks? Not so long ago a member of the EarSeeds team was quietly working on some crystal ear seeds when she suddenly started to have a major panic attack. She has a history of anxiety and this one came on so strong she had to get off of her seat and lay on the floor! Her breath was shallow and loud. She was rocking on the floor. She managed to tell us it was an anxiety attack – she’s had them before, she just didn’t know what had suddenly triggered it or how to help herself get through it. Feeling basically helpless I rushed over there and quickly placed an ear seed on one ear point and even to my own surprise, her anxiety immediately started to lessen! She was able to catch her breath. Get back to herself within a few (not so short) minutes. I’d like to share with you what ear point I used and where on the ear it’s located. It’s the point I use MOST to help ease my own everyday anxiety. The point I press when my kids are pulling me in two directions or when I’m running late and freaking out. It just calms me down and helps me breath. The common name of this auricular point is called the Tranquilizer Point. It’s interesting because it has such a strong sedating effect and is so powerful in calming anxiety that a nickname for this point is called the Valium point! The problem with Valium is that it has side effects! And then there are also some serious side effects that may include liver or bladder disease, depression, suicidal thoughts, and much more!! Yikes. Don’t want side effects like that? Try Ear Seeds!! If you wanna see exactly where this point is located on the ear, we created a page to show you! Go here to learn more about the Tranquilizer point. If you would like a complete protocol for anxiety then you can grab our Anxiety EarSeed Kit over here. 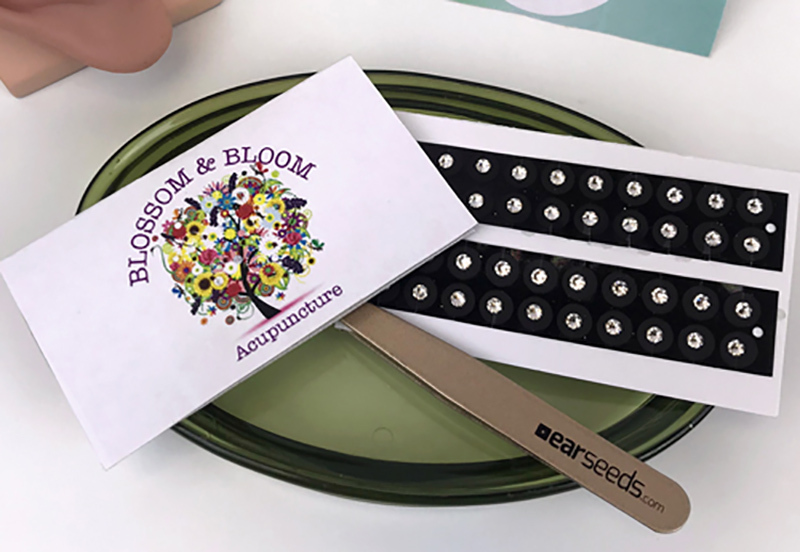 OR if you prefer an actual EarSeeds Certified Practitioner – an expert in using ear seeds, we will have a directory available soon listing them! In the meanwhile, let us know where you’re located and we’ll let you know if we have any practitioners in your area!